Driver and fleet safety is a top priority for trucking companies today. We hear it every day from our customers, which is why driver safety features prominently in our solution portfolio. 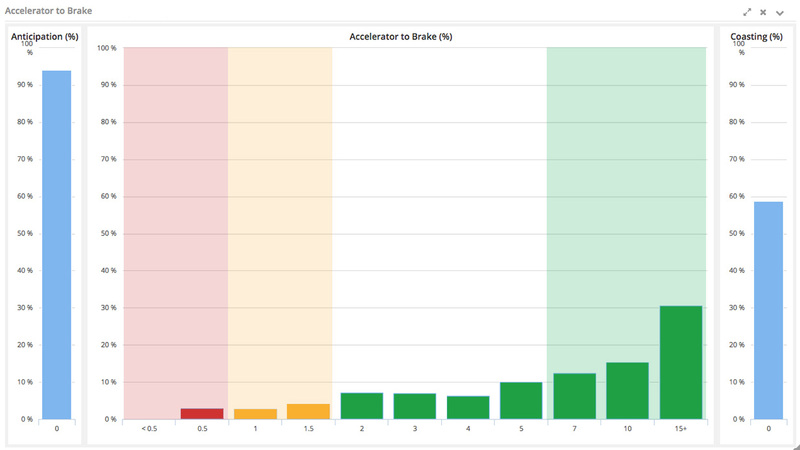 One such example is the new driver anticipation data and analysis available through our FleetManager telematics platform. Anticipation measures the time taken before the brake is pressed after a driver lifts their foot off the accelerator. Each of these events is banded together and analyzed. The data is then compiled to deliver an Anticipation score. This Anticipation score contributes to the measurement of safer truck driving. Large numbers of events of a short duration, (e.g. less than one second) shows that the driver has to react too rapidly to events instead of the opposite; a controlled braking event. A lower Anticipation score is better as it suggests that the truck driver is anticipating the road ahead. Anticipation can be used to measure truck drivers on a short-term or long-term basis. They can be reviewed over any time period (for example, over one week as well as over longer periods of time such as months or years). Anticipation is a strong fleet safety indicator. It contributes to data which can indicate which drivers are more likely to have an accident. A high Anticipation score indicates that the driver is not anticipating that they may need to stop in a few seconds, instead of reacting too late to an event. Lower Anticipation scores over time can help fleet managers address problems before they crop up. Truck drivers already have a tough enough job with plenty of demands put on them daily. Anticipation is a way to assist drivers in identifying the habits that could be risky so they can work on changing them. 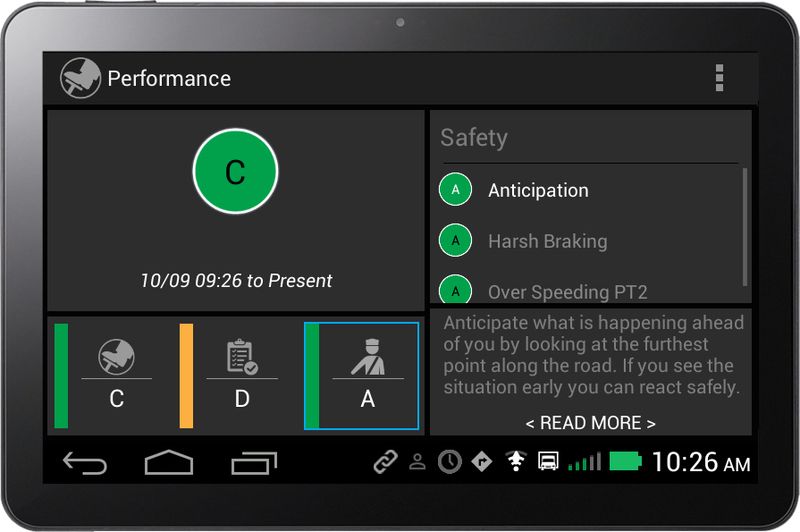 Anticipation data is available as a performance metric or a safety metric and is available to the driver on in-cab devices. Built as a way to identify and correct poor driving habits, Anticipation is as important for fleet managers as it is for drivers. It is a coaching tool to identify individual and long-term instances of this behavior. Fleet managers can leverage Anticipation data to feed into fleet safety and driver training programs. This driver is demonstrating excellent anticipation skills. They are managing their braking activity well in respect of the road ahead. Improve driver behavior: Anticipation is a strong fleet safety indicator. It highlights drivers who may be more likely to have an accident so fleet managers can address problems before they arise. A poor Anticipation score indicates that the driver is not expecting that they may need to stop in a few seconds, instead of reacting too late to an event. Reduce wear and tear on brakes: Anticipation can be used to monitor the inappropriate use of braking. Learning which drivers are doing this frequently can help to address the issue and alter behavior to reduce wear and tear. Increase fuel efficiency: A good Anticipation score suggests a more fuel-efficient driving style. By easing off on the accelerator, the vehicle can come to a natural stop. The distance traveled in this state are known as “free miles”. This driver is demonstrating poor anticipation behavior. 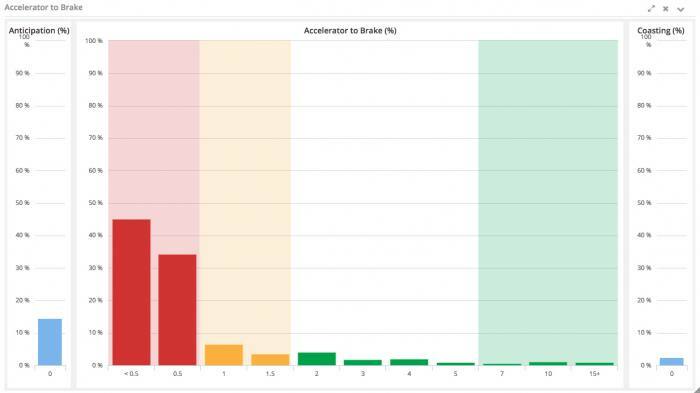 The low Anticipation score suggests the driver spends a lot of time moving quickly between brake and accelerator and is reacting to the road ahead. Anticipation data is compiled in various reports in FleetManager. It feeds into driver scoring, where each driver is compared and scored against each other. .
To learn more about what FleetManager.com has to offer, email us at sales@orbcomm.com.